Installing a new sprinkler or irrigation system is one of many landscaping projects that can be done in an effort to boost the aesthetics of your home. Sprinkler installation eliminates hand watering your lawn or garden, which can be time-consuming, as well as a physical issue. : These sprinklers have small heads that pop up from the ground to water your lawn. These heads can spray in radius ranges from 10-15 feet, and they can spray in full circles, half circles or quarter circles. : These sprinklers rotate to deliver water. They have larger radius ranges (30-90 feet), which make them prime for larger lawns. Rotor sprinklers are a little slower in providing irrigation, but they benefit wider, flatter areas better than installing multiple spray sprinklers. : These sprinklers use hoses or tubes to deliver water. They work well with flower beds or non-lawn areas. If installed properly, drip irrigation can save money and time, as it applies water directly to the soil and eliminates excess spraying. 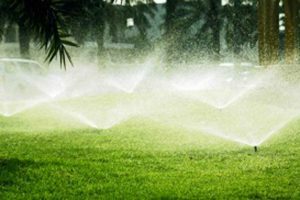 For those looking for immediate irrigation but do not have the money to install a new sprinkler system, there are temporary sprinklers that will suffice. These are plastic sprinkler systems you can attach to your garden hose. They do not have timers and must be turned on and off manually. Our Fort Worth TX landscapers can provide you additional information on quality sprinkler systems. Give our Fort Worth landscaping company a call today, or visit us online for details.